This is not a BMW sponsored post. This is just my love for the vehicle which I have owned now for close to 1 year and 4 months, and my love for its capabilities and its true colors grows stronger. As it is said, every relationship will get stronger or weaker as time passes by, and the tests the time puts you through. Either you come out on top, or you realize it was not meant to be. Last year December 2017, during the Christmass holiday time frame, we decided to take a trip to our east side, to New York to a friend of mine for the holidays. the weather was looking good, and we prepared for the trip. As the dates came closer, bad weather started looming large. It was shown to be going absolutely bananas, touching down to 0F in the days to come and I was concerned about our travel a little bit. On this trip, my wife and my 7 years old daughter would accompany me on this journey from Chicago to New york, covering approx 750 miles one way. The trip was good, and we came back home on 30th December. However, during our return journey, the weather turned even nastier. When we started from new york on 29th, it was 15F there. While the temperatures at our destination, which was home for us were hitting -10F. So, You can imagine, that as we continued driving from new york towards chicago, the temperature continued to fall. on the second day, we pretty much started from Youngstown, Ohio (this was the best point in the midway among chicago & new york) with the temperature reading 3F and arrived home with temperature reading -8 or -9F. It was snowing throughout the way. 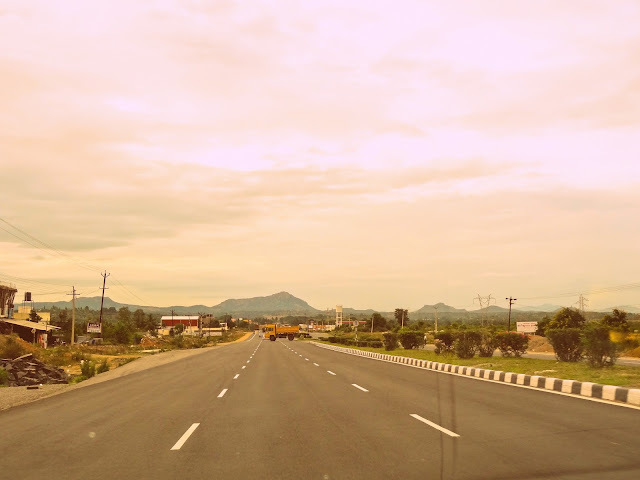 The traffic was greatly reduced due to holidays and bad weather. We saw cars losing grip on the road and shuffling sideways. We drove through winding roads, blowing snow from the fields, beside huge trucks and through snow which was to be cleared yet. There was slush at a lot of places, and conditions continued getting worse. and amidst all of this, not once I felt that my x5, the beast, was not in control or losing grip. 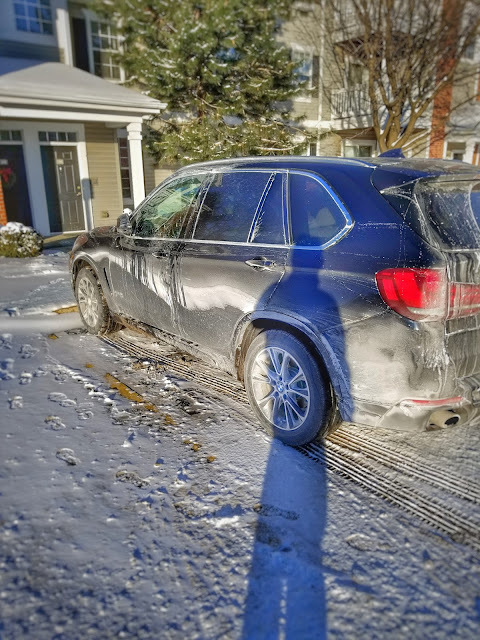 We were cruising throughout at significant pace, and every time we went through the snow on road, or slush, the X5 felt super confident. As if, the car is meant for this type of condition. 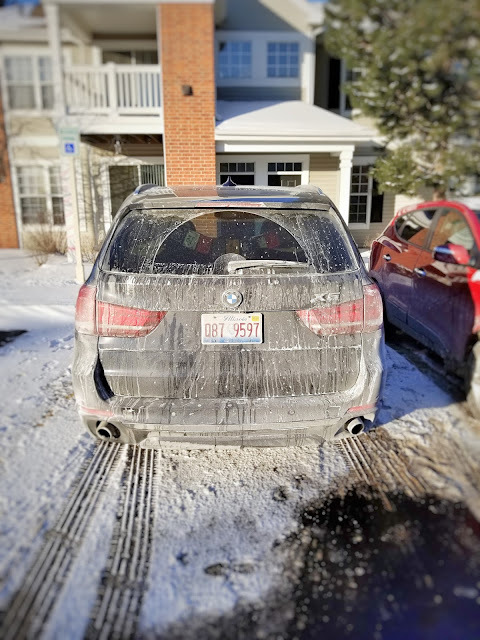 I feel in love with the reliability which BMW and its cars bring to its customers in such inclement conditions. To be, fair I am not suggesting or can give examples that other cars were struggling. I am just bowled over by the responsiveness of its systems and how confident it felt behind the steering. I did feel that in terms of handling, responsiveness, X5 may leave the majority of the competition far behind. In normal conditions also, the handling of X5 is unbelievable. there is almost no body roll and you get a sense of a sports car in the way it balances. this is totally different from Chevy, Nissan, toyota[excluding highlander] and other makes where the SUV's feel heavy and bulky. Nevertheless, rather than trying to do a technical review & comparison, I wanted to register my love for this excellent engineering marvel by the BMW. We covered approx 1500 miles and we felt we were in safe hands, thanks to 'the beast'. 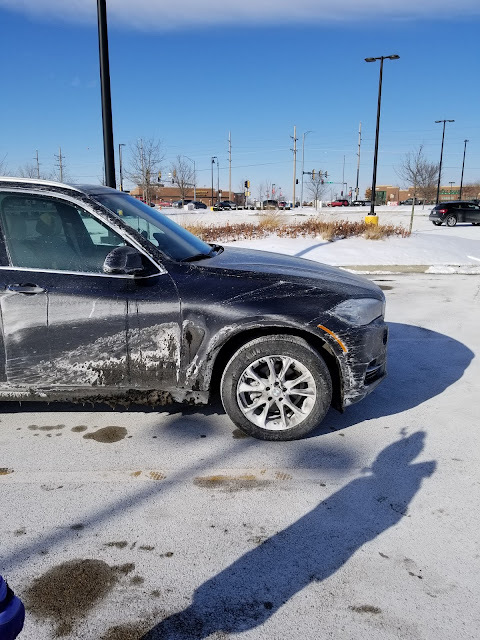 A picture of my x5, as we got back home.